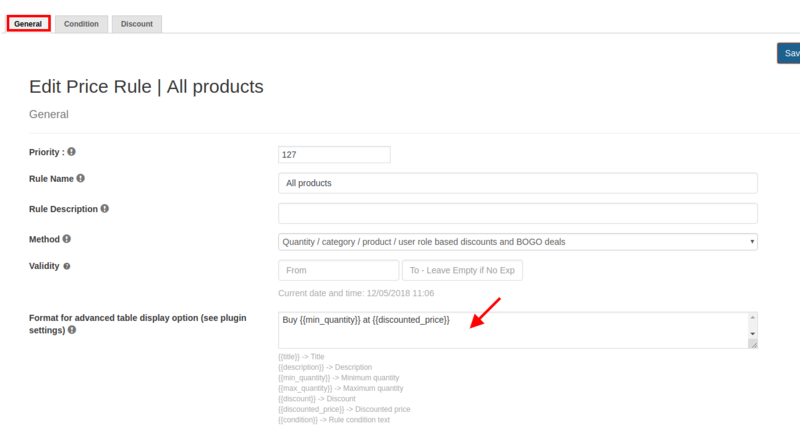 Do you wish to display information about discounts in the product pages ? It can be done with the discount table, Click here to know more. 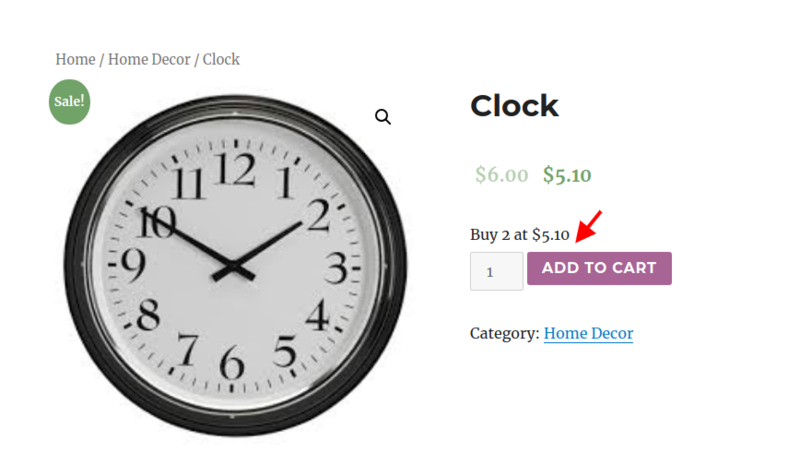 Not liking the table but rather wishing to show a message in the product pages ? Sure, it can be done using the Advanced layout!! Go to Woo Discount Rules -> Settings --> Price rules. 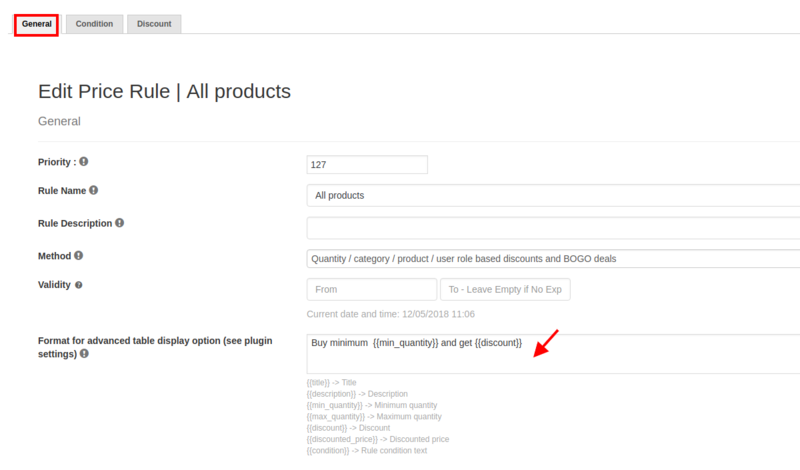 In the offers table tab, set the discount table to Advanced Layout and click on Save. 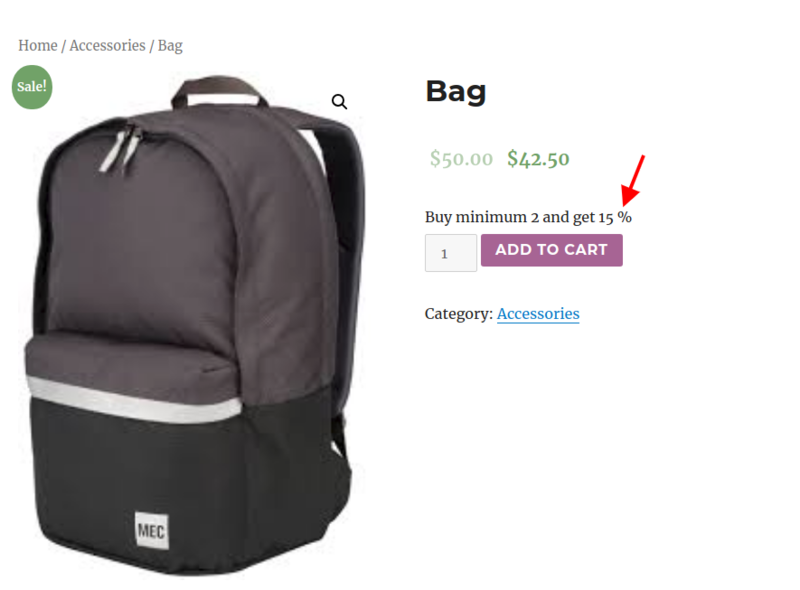 Navigate to Woo-commerce --> Woo Discount Rules. In the general tab, there is a field "Format for advanced table display option (see plugin settings)". Here, you can add any description and insert the necessary codes. Likewise, you can add your description as desired.